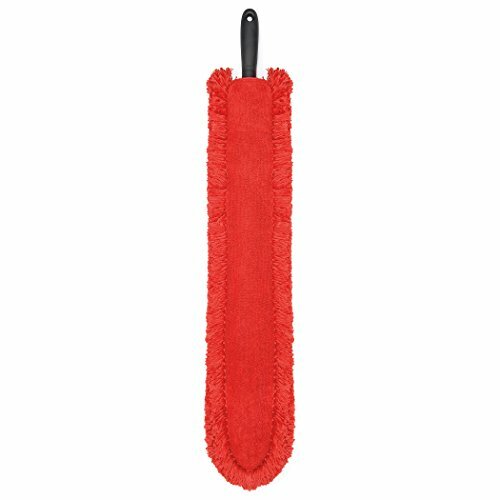 Make cleaning less of a chore with Good Grips' slimline duster. Fitting easily into little gaps, it also flexes to get right into hard-to-reach nooks and crannies - great for cleaning under appliances and behind radiators. The short cloth provides maximum contact for cleaning large flat surfaces quickly, and the long fluffy strands on either side are great for getting into corners where dust can lurk. The microfibre filaments hold on tight to dust once it's collected and the removable head can be popped straight into the washing machine too.79cm L.